This project includes a complex of hotels, saunas, swimming pools and a small banquet hall. The special feature of this project is that the design is based on the concept of a “green” wooden village home made like a heritage one. 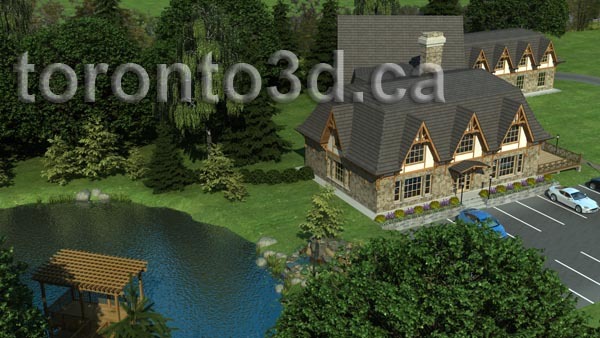 Whether you are planning to build a Motel, Spa, Cottage, or Permanent Residence, the idea of that perfect country home is a dream that you will visualize with us. 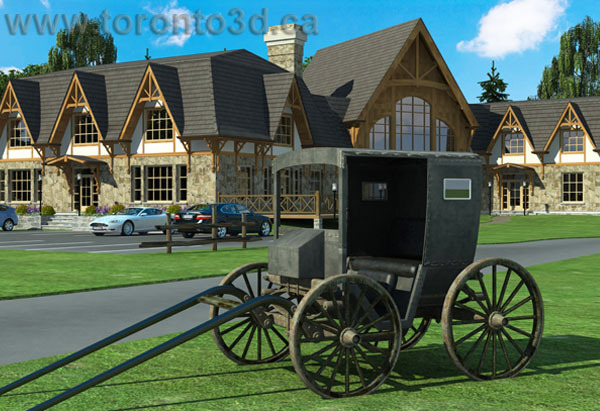 Toronto3D has integrated the perfect design and modern technology. 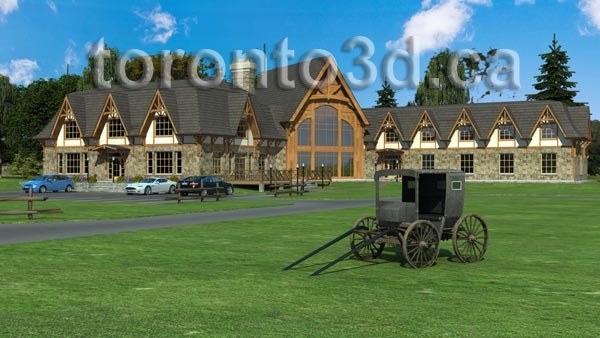 Architectural rendering and 3D model will show you a realistic picture of the future building. 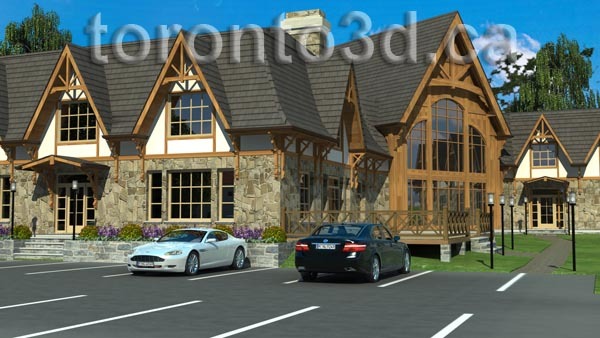 Let us work together to create a 3D model house which is uniquely yours!